UCL academics pay tribute to Neil May MBE, Principal Research Associate at the UCL Institute for Environmental Design and Engineering. "Only if we are capable of dwelling, only then can we build" (Heidegger). "What are buildings for? And that leads to the question: what are human beings for? What is our purpose? We need to think deeply about that if we are to create a future that is sustainable as well as meaningful. Buildings are manifestations of the values of our society and if we want to have more beautiful, sustainable and creative buildings then we have to address our core values first." Neil studied for his first degree in Modern History at Oxford and went on to take an MPhil in Sociology at Delhi University, where he was a Commonwealth Scholar and specialised in cultural anthropology. He conducted extensive field work in and around Delhi and made a documentary film in Bihar. Neil remained in contact with leading anthropologists and social thinkers in Delhi, where his work is still respected. In 1988, having returned to the UK, he became a building labourer for four years before setting up his own award-winning ecological and conservation building company, Neil May Builders, which he sold in 2004. At heart, Neil was always a builder – he knew how to put buildings together, and his straightforward, practical manner often somehow conveyed the impression that he had just been building a wall or installing some plumbing. Yet he was equally comfortable with professionals, academics and civil servants. Working with academics, he encouraged them to focus on making their work useful; but with professionals he insisted on systematic research and evidence-based conclusions. 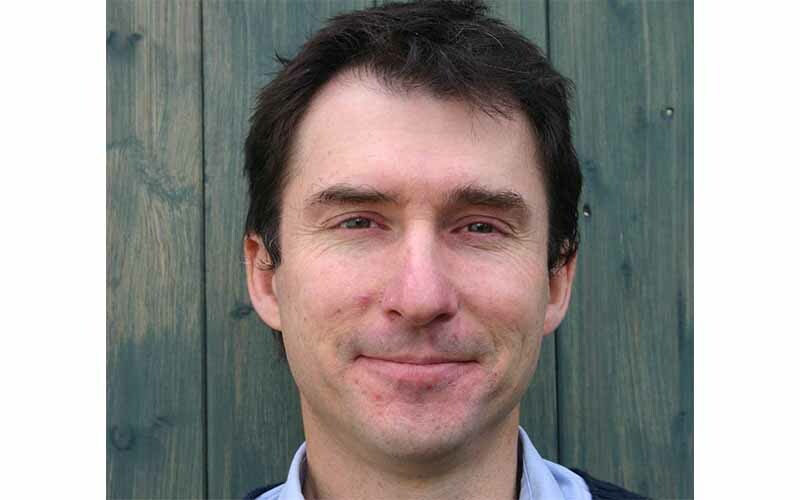 Neil founded Natural Building Technologies in 1999, and pioneered the supply of high-performance sustainable, vapour permeable insulation and envelope systems for buildings. While Managing Director of NBT he set up the Better Buildings Group, including many leading energy and sustainability consultants who held meetings and seminars in NBT’s chilly warehouse near Aylesbury. Neil inspired the Group’s work promoting sustainable new-buildings and sustainable retrofit. One member of the group recalls “his passion for buildings, people and nature, (always those three things inextricably linked together) and his slightly bemused irritation that the construction industry and so much of society just didn’t ‘get it’, particularly when the evidence was clear for us to see.” Neil also contributed sustainability workshops to the senior management development programme of a leading building company, where he is reported to have astonished the delegates with his insight into the many and various unintended consequences of poor design. When the UK Government conceived the Green Deal, Neil was appalled by the potential for damage to our homes and architectural heritage from large-scale retrofit using inappropriate materials and techniques, a cause he took up with the Department for Energy and Climate Change (DECC). One civil servant at DECC recalls him as “A passionate lobbyist for doing the right thing, who did it in the nicest possible way. You had your arm twisted without realising it.” For the Sustainable Traditional Buildings Alliance, Neil secured DECC funding for research that led to the influential report Responsible Retrofit of Traditional Buildings and the development of the well-known Guidance Wheel. Neil also contributed to the Each Home Counts review, and joined the BSI Retrofit Standards Task Group, where he was influential in establishing a holistic vision for the retrofit standards framework called for by the review. This in turn influenced the scope of BSI’s forthcoming domestic retrofit standard PAS 2035 Retrofitting Dwellings for Improved Energy Efficiency, for which Neil served as a member of the industry Steering Group. In parallel with the BSI work, the most recent of Neil’s projects was the establishment in 2016 of the UK Centre for Moisture in Buildings, at UCL. The Centre brings together partners from UCL, BRE, Heriot Watt University and the London School of Hygiene and Tropical Medicine. Already UKCMB has over twenty projects completed or in progress, funded by Government, a research council, charitable trusts, industry bodies and commercial clients and sponsors, all driven by Neil’s enthusiasm. He led major projects for BEIS, Bristol City Council, Historic England and the National Trust. The UKCMB has also launched a training programme that promotes the principles of moisture risk management that Neil identified for the BSI White Paper and BS 5250. Neil was an adviser on environmental and building matters to the Benedictine Community at Quarr Abbey on the Isle of Wight, and he took a group of UCL colleagues there to experience the life of the monks and help them understand Neil's own life and research philosophy. Of his work for the Community, Neil wrote: "Part of its mission is to present an alternative and challenging vision of what it means to be fully human, and that is why I am involved." In 2017 Neil was awarded an MBE ‘for services to sustainability and energy efficiency in buildings and communities’. In 2018, faced with an inevitably fatal condition and having survived one operation, Neil bravely chose to put his affairs in order, hand-over his work to colleagues and submit to a second, very risky surgical procedure. The outcome was this tragic loss, which for so many of us is painful and personal, but he has left us an immense and inspiring legacy of ideas and challenges. This obituary has been compiled from material contributed by some of Neil’s many friends and colleagues, including academics at UCL, members of the organisations he helped to found and run, and individuals who worked with him.